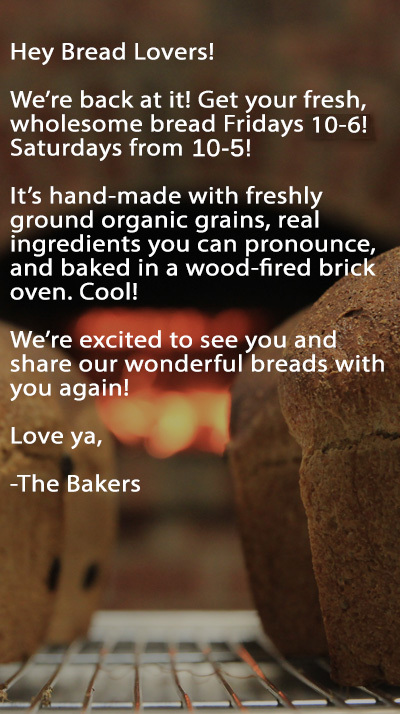 Welcome to Balsam Lake Brick Oven Breads! Sign up on our email list to hear about what we're baking this week, what we're up to, or our latest cool new bread! Questions? For now, you can get ahold of us here.